The liquidators of Carillion, the construction giant that collapsed with a debt pile of around £1.5bn, have instructed CAPA to audit 854 properties across the business. Carillion entered compulsory liquidation in January 2018, after a period in which its revenue fell by over £2.4bn in less than two years. When the company needed a substantial cash injection at the start of 2018, the board was unable to raise new capital from its banks – which had already given Carillion more time to repay its loans. Its financial predicament left the business with no option but liquidation. A plc with a global footprint, and the UK’s second largest construction company, Carillion had around 43,000 staff across the world, with about 19,500 employees in the UK working on more than 400 government contracts. As a construction, facilities management and maintenance firm, the business was involved in a range of high-profile projects including NHS trusts, schools, prisons and public transport. Since the official receiver was appointed liquidator in January 2018, The Insolvency Service and the Cabinet Office have been working with six senior partners at PwC – along with a combined team of over 250 PwC staff supporting the partners – to manage Carillion’s businesses and contracts. PwC has ensured a range of public services are still running throughout the liquidation. The accountancy firm has now instructed CAPA to conduct a property audit on the 854 sites. 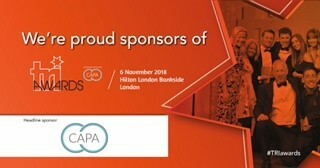 A huge national undertaking, the instruction means CAPA will undertake a forensic audit of sums paid out across the Carillion properties, including utility bills and other elements. The team will use bespoke software to inspect the data and uncover errors or any anomalies, such as overspend, that will enable them to recover cash for the creditors of Carillion.